Does your email inbox spark joy? Will you thank each message before you delete it? OK – maayyybe we’ve watched one too many episodes of the hot Netflix show, “Tidying Up with Marie Kondo.” But before you roll your eyes at this latest fad, recognize that some of the principles outlined by the “Konmari method” can be effectively applicable to your business life. Before your New Year’s resolutions fall by the wayside, let’s tackle an organizing project that makes work feel less stressful: decluttering your digital desktop. You might find tucked deep in the weeds of your archived emails a sweet farewell message from a former coworker, cherished comments from a now-deceased colleague or praise from your boss for a job well done. So before you go purge-crazy and just delete everything in one fell swoop, take a moment to look closer. Sort your messages by sender so they’ll be grouped alphabetically by individual/company name. This lets you quickly wipe out whole categories of useless-to-you information such as expired promotions, old client e-newsletters, internal company announcements, notifications that you have a secure email waiting and the like. Once those are gone, it’s easier to find important business emails and special messages from people you care about that you want to save. Then re-sort the list by reverse date, oldest to newest. Chances are VERY good most emails from 2017 or older aren’t relevant to you anymore and can be cut without a second thought. Now you can jump on that minimalism bandwagon and create a simple organizing system for new incoming emails. Kondo prefers to sort her messages into two simple categories: Unprocessed and Save. (See more of her email organization tips.) Your personal system may need a tad more complexity, but the idea is to not let unprocessed emails build up AND to be able to find saved ones easily. Setting aside literally 10 minutes in your morning before you jump in to your day’s work — or perhaps later in the day as a break from some other project — gets you 10 good minutes of progress. I’ve been applying this method to whittling down my family’s monster stash of double-print photos accumulated over decades before our digital lives took over. Once I realized I didn’t have to meet some artificial deadline to finish, I began to look forward to sifting through a few packs when I have a little free time. Of course, going through old emails isn’t the same as seeing cherished faces smiling back at you. 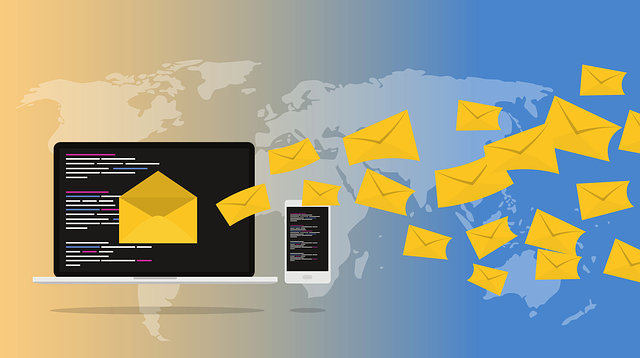 But once you’ve reduced your archive and created better habits for incoming email going forward, you might be amazed at how much “joy” a lean inbox can bring!